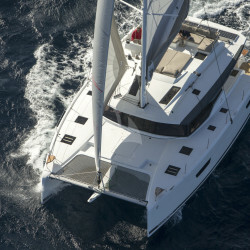 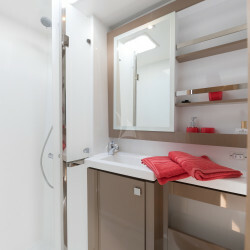 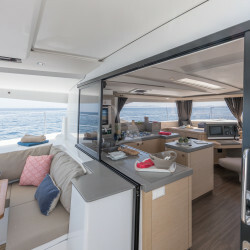 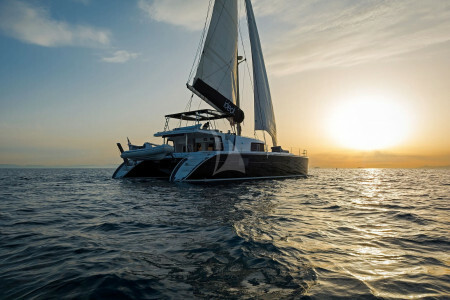 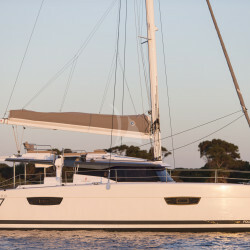 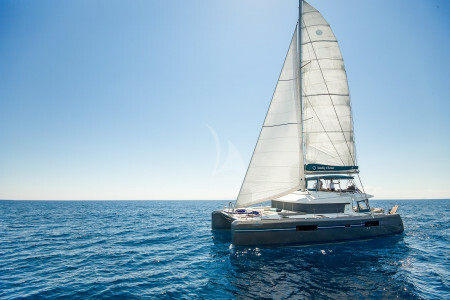 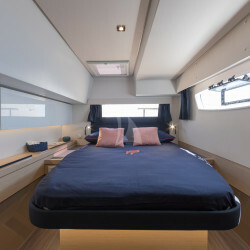 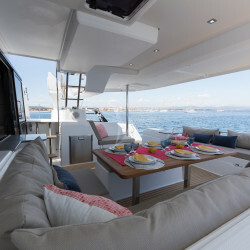 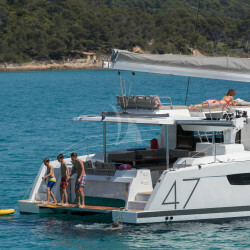 Fountaine Pajot Saona 47 Crewed Catamaran ANNABELLA is the quintessential contemporary sailing catamaran. 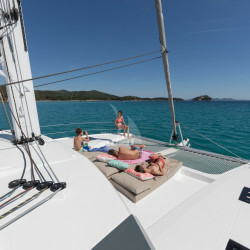 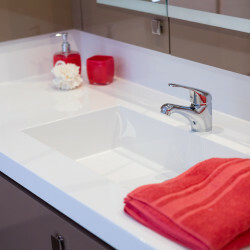 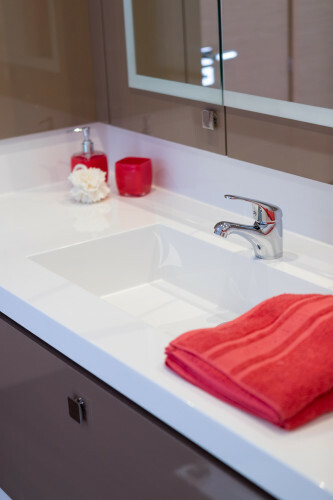 She accommodates up to 10 guests in 5 Cabins for unrivalled Greece sailing vacations. 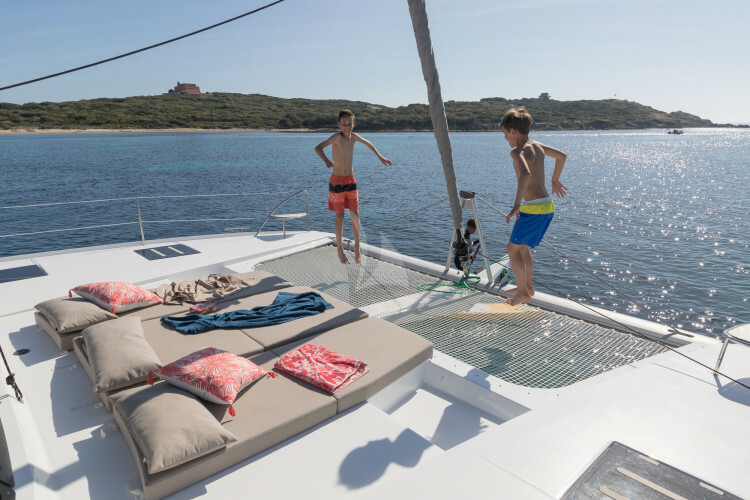 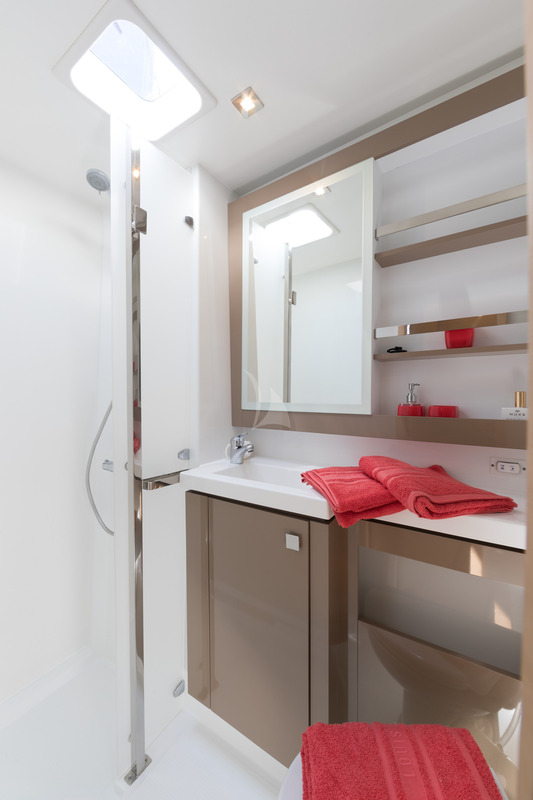 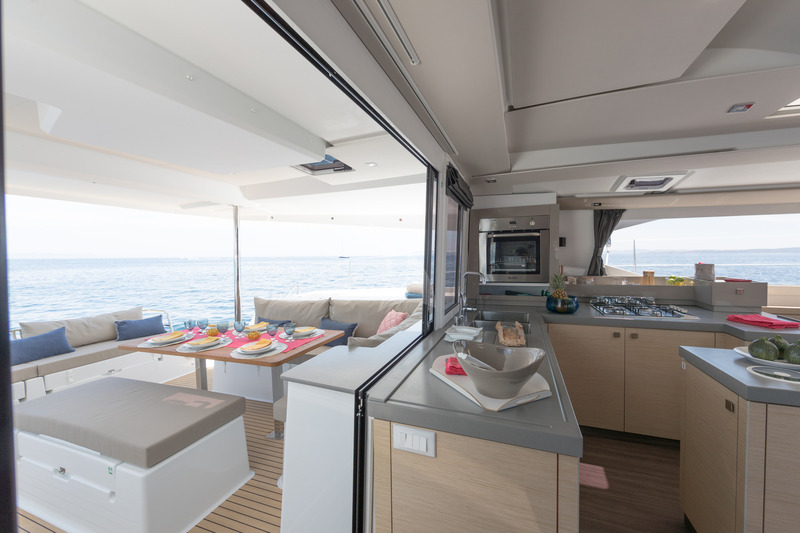 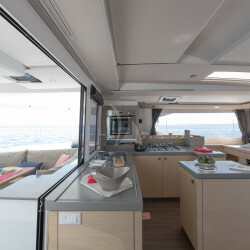 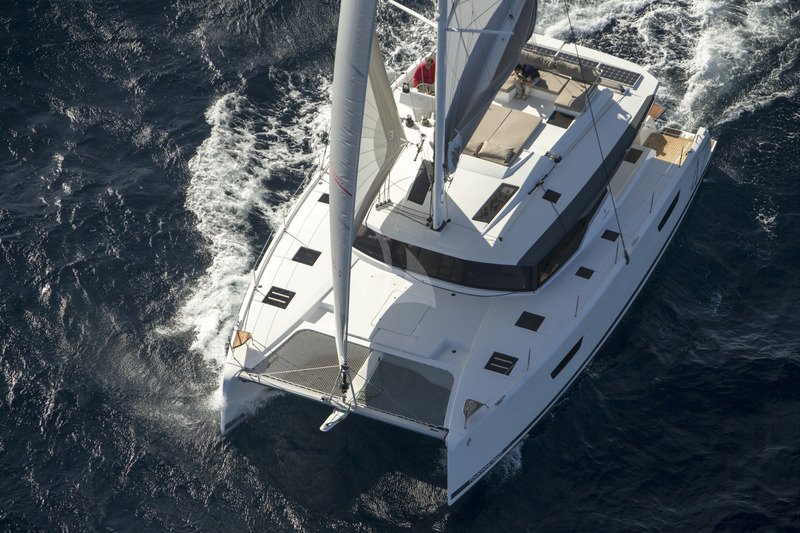 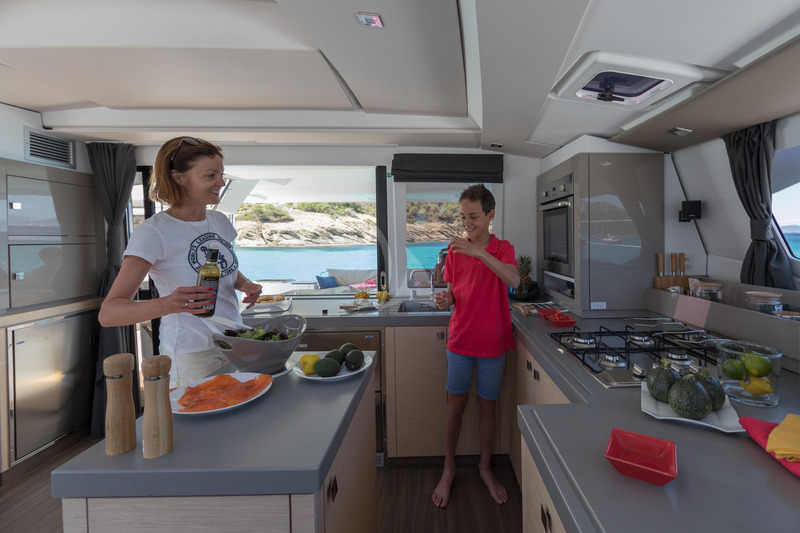 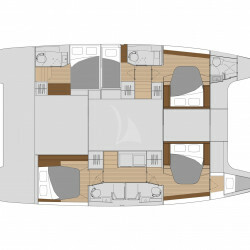 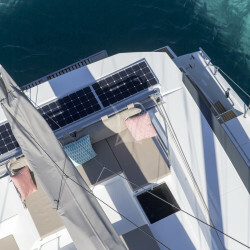 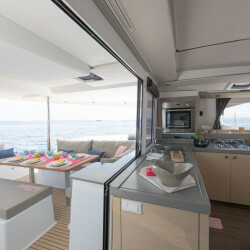 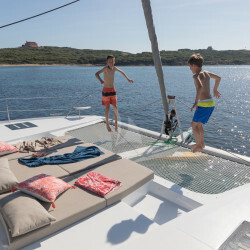 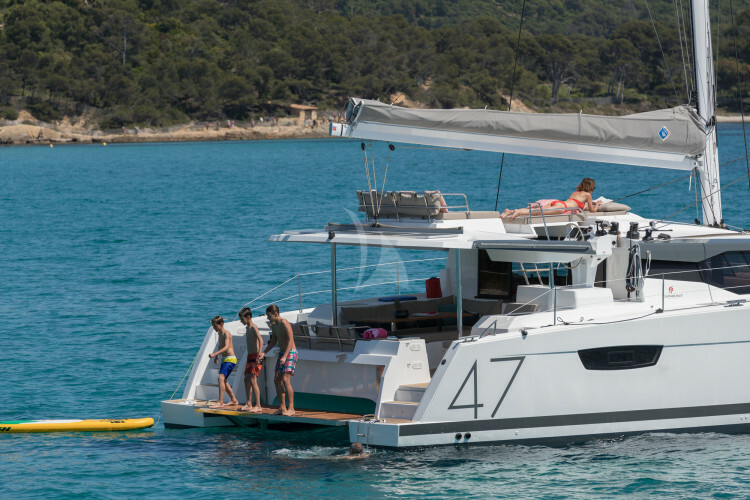 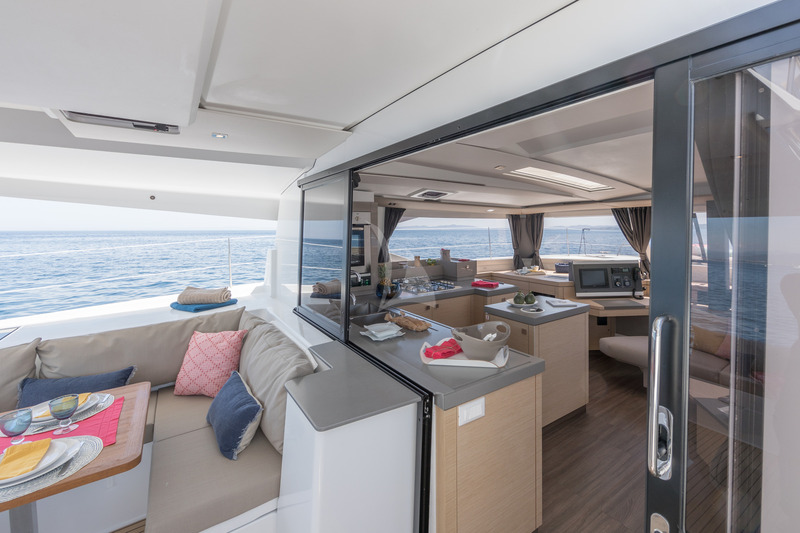 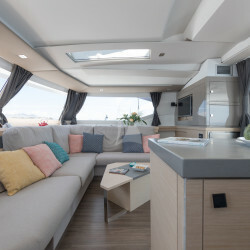 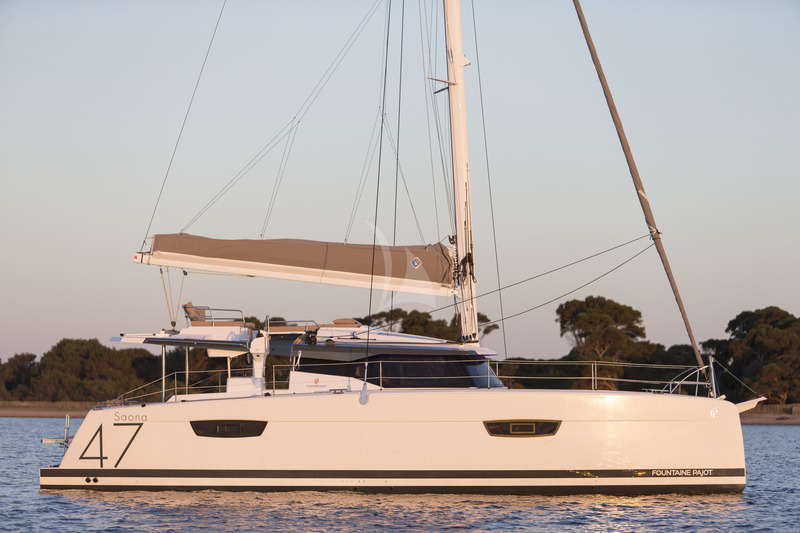 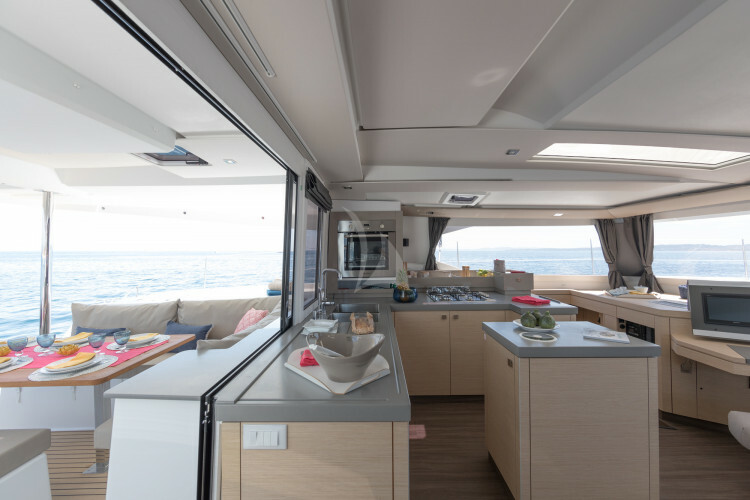 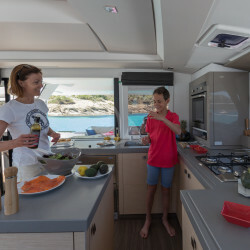 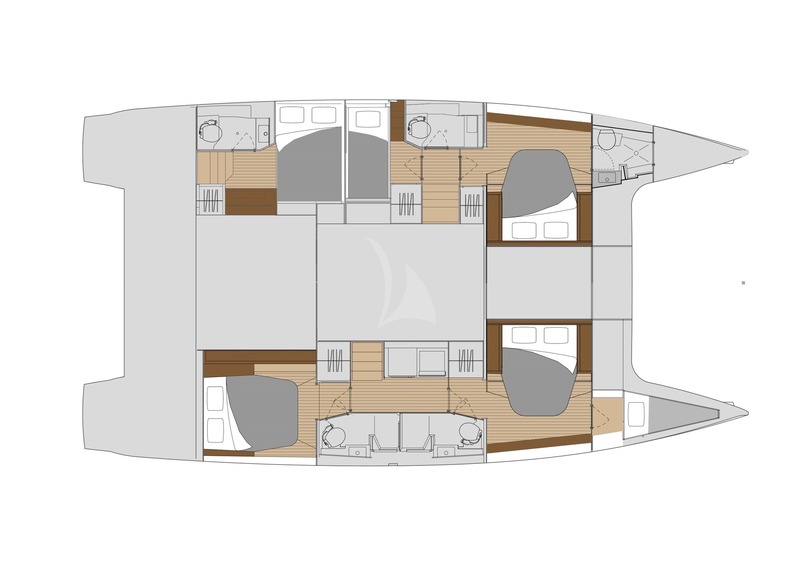 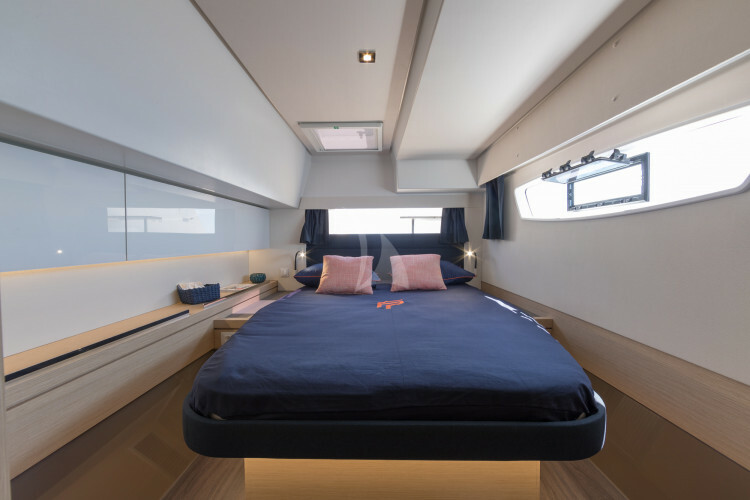 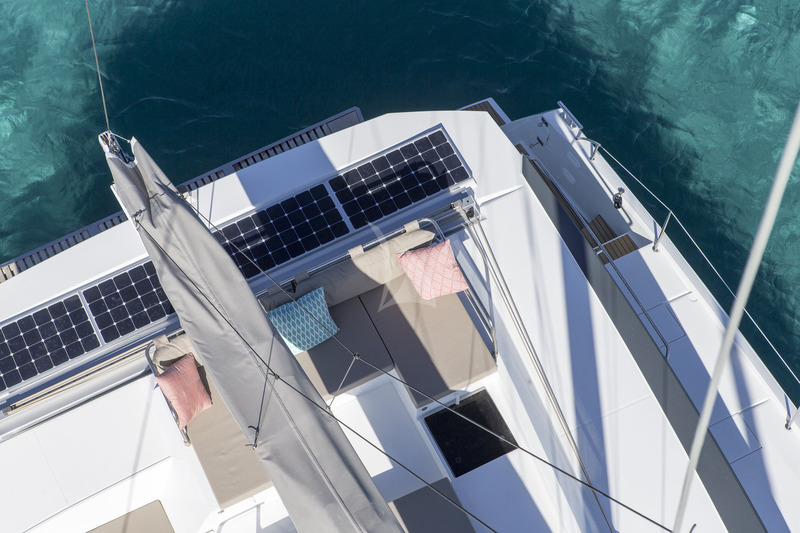 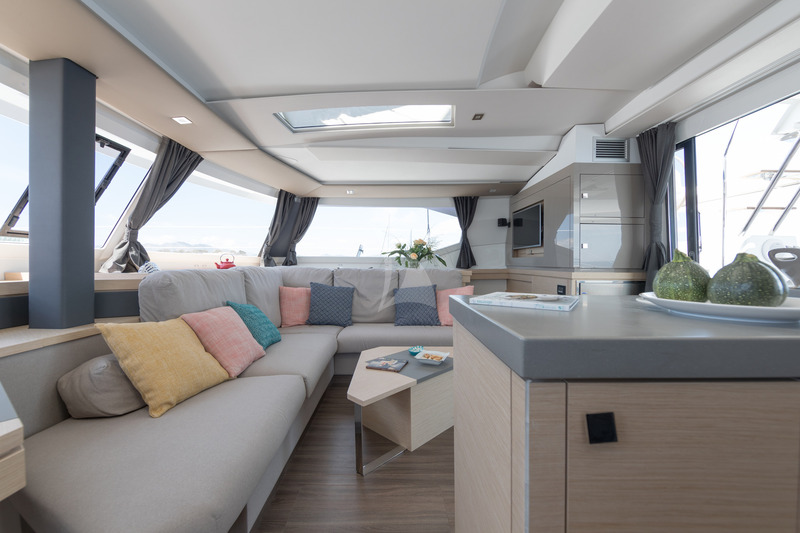 The Fountaine Pajot Saona 47 combines sailing performance with contemporary living spaces. 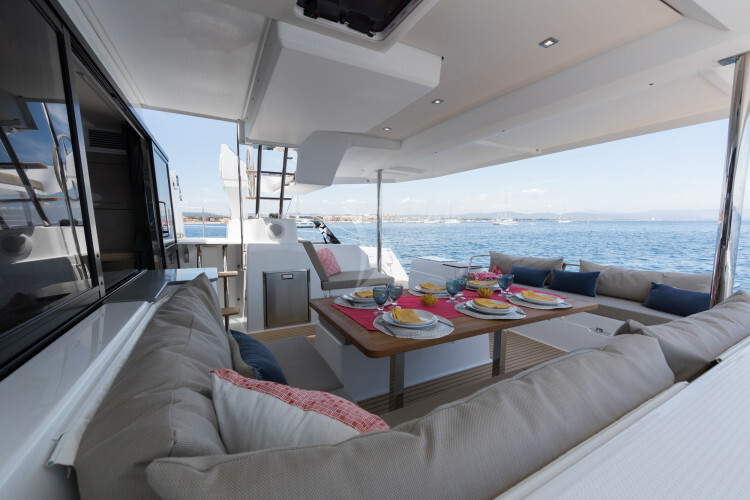 Lose yourself in your surrounds from the vantage point of the aft deck, relax on the sun lounges on the foredeck or take advantage of the aft deck, capable of hosting a range of leisure activities: a casual breakfast, al fresco dining or sunset drinks. 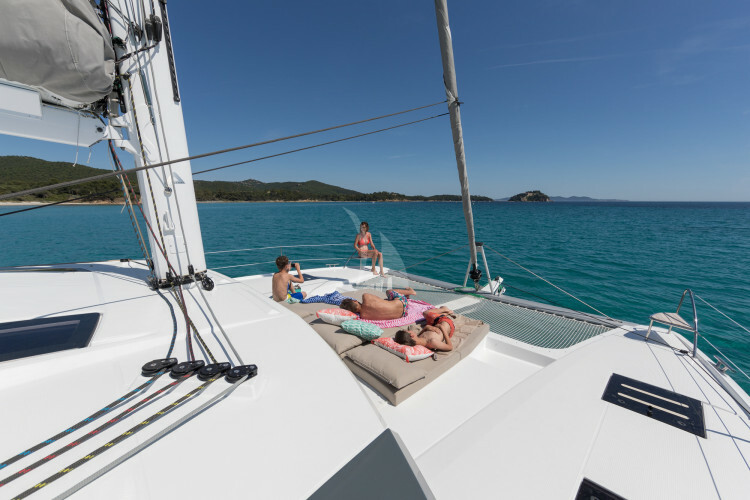 Your customised Greece vacation package includes captain, chef, excellent cuisine, standard open bar, cabins with private bathroom/shower, equipment for snorkeling, kayaking, paddle boarding, fishing and much more.